Pacific Union College’s Vox Pro Musica, directed by Jenelle Westerbeck Anderson, and Orchestra, directed by Rachelle Berthelsen Davis, embarks on their winter tour to Southern California next week. All events are free and open to the public. "Where there is charity and love, God is there. Let us revere and love the living God. And from a sincere heart let us love one another." Orchestra, led by Davis, will perform Ernest Bloch’s Concerto Grosso No. 1 featuring soloist Nathan Kim on the piano. Antonio Vivaldi’s Concerto for Two Cellos in G minor highlights soloists Aaron Baluyot and Andrew Caster. They will also perform works by Bach and Telemann, as well as several hymn arrangements. Performances begin on Friday, Feb. 8, at Glendale Adventist Academy in Glendale, at 10:30 & 11:15 a.m., and 12 p.m. That evening, the ensembles will put on a special vespers program at the Central Filipino Adventist Church in Los Angeles at 7 p.m.
On Saturday, Feb. 9, VPM and the Orchestra will perform for the church service at Eagle Rock Adventist Church at 11 a.m.
A vespers program at Campus Hill Adventist Church at 5 p.m. on Saturday, Feb. 9, rounds out the tour. This event will feature guest artist and PUC alumnus Tad Worku. To schedule a performance of any of PUC’s ensembles at your church, school, or other organization, contact the department of music at music@puc.edu or (707) 965-6201. 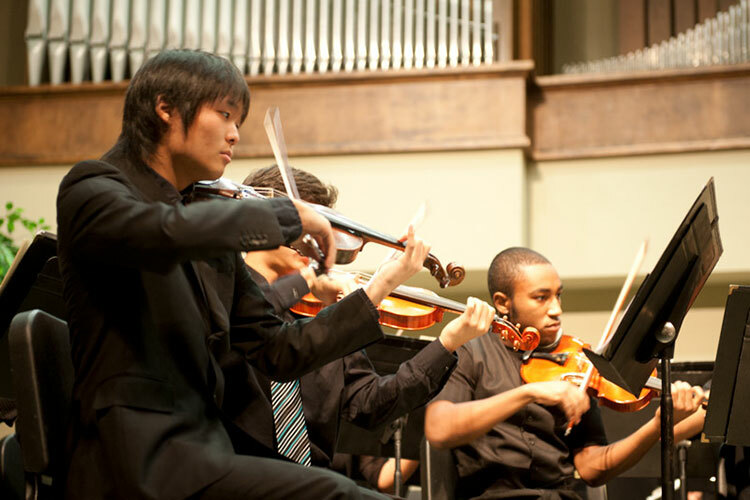 To learn more about the music program at PUC, visit puc.edu/music.